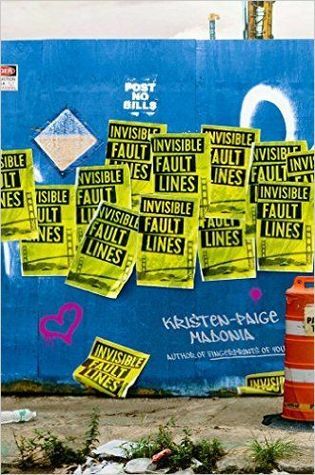 Today, I had the privileged of hosting author Kristen-Paige Madonia, author of FINGERPRINTS OF YOU and newly released INVISIBLE FAULT LINES. She definitely has a way with words, and today she'll be talking about books and babies. You'll see what I mean. Authors often compare publishing a book to having and raising a child -- the small but magical beginnings, the months imagining, nourishing and waiting, the birth and sending out, hoping the world will see what you see: an original, beautiful and important addition to society. As a hopeful young author, I believed that I understood the simile and felt protective and proud of my debut novel, Fingerprints of You, in the same way I imagined a parent feels about dropping their child off at school for the first time. But then, in the gap of time between publishing my first book and selling my second, I became a parent –- the actual guardian to an actual baby, the mother of a child that began as a handful of cells in my belly and now walks, talks, laughs, dances and sings Bob Marley songs. And during the process, I confronted both the accuracy and the ridiculousness of the comparison between publishing a novel and being a parent. I’ve written four novels and can tell you the precise moment at which they were conceived: my first, standing at the stove while in graduate school making a grilled cheese sandwich (my “in-the-drawer” manuscript); the second, in a coffee shop in San Francisco (Fingerprints of You); the third, in a bar in Portland during Wordstock Book Festival after hearing David Levithan speak (Invisible Fault Lines); and the fourth, in the middle of the night as I woke from a dream, scrambling for a pen on my nightstand to jot down the early inklings of what has become my current work-in-progress. I remember the sounds and smells and moods of the rooms where the ideas first landed, the way the slanted light ping-ponged off the rain-streaked windows while my husband and I shared a beer and talked out the concept for Invisible Fault Lines. But there was no such defining moment when we decided to become parents, no one conversation that solidified my confidence that I was ready, that the time was right to begin something new, something that would become all consuming and self-defining as having a child does. My husband and I were confident in our commitment and our love for one another but fearful over our finances. We were certain in our ability to care for a child but were terrified conception might be difficult, as it had been for some of our friends. We knew we liked the idea of a family, but we were also one hundred percent satisfied with our lives just the way they were. We craved to engage with the world in a new and significant way but also hesitated to adjust our lifestyle. I discovered I was pregnant three months after I began jotting notes in Portland for the project that would become Invisible Fault Lines. My son grew just as a novel does: slowly, day by day, one step at a time. Just as we feel during the drafting phase, my pregnancy was inundated with doubt and fears, elated moments of confidence followed by weeks of anxiety. Was I strong enough and smart enough, patient enough and brave enough to be a good mother? To write a beautiful and important book? As my belly swelled, so did my conviction in the manuscript, the pages multiplying, the words coming together, the characters blooming into life. Like most authors, I’m a reader and researcher at heart, and because the 1906 San Francisco Earthquake and Firestorms play a key role in my character’s journey in the novel, I alternated between historical research and baby books and websites. I’d spend afternoons scrolling photos and reading articles from the on-line Bancroft Berkeley Library, reading biographies of those that survived the earthquake and watching silent-movie clips from the aftermath in 1906. Then I’d spend my evenings curled on the couch researching the best foods to eat when you’re pregnant and a vegetarian (dark green leafy vegetables), the best exercise programs for pregnancy (yoga), bottles to buy (glass), and mattress to use in the crib (the ridiculously expensive organic one). I emailed my manuscript to my agent the day before I was induced. Just like writing a book, there’s no one way to birth and care for a child. Like the decisions you make when writing, the decisions you make as a parent are based on your personality, your experiences, your belief system, your wants and goals and hopes. But as writers we write alone; for me, being a parent is a messy, wonderful good-intentioned but often-confusing collaboration with my husband that requires compromise, patience and the willingness to admit when you’re wrong. As a writer and a parent there are many days when I am certain that I have no idea what I’m doing, when I can’t find the light to guide me through the tunnel. I also have equally just as many days when there’s no doubt in my mind that there’s nothing else in the world I’m meant to do, no better way to spend my time, no more worthwhile place to invest my heart. I’ve learned that both require an immense amount of patience. And willingness to make mistakes. To be vulnerable. To get dirty and venture outside of your comfort zone. We need a keen ability to multitask but also to be present, to be focused. But most of all, as authors and as parents, we give up so much control. We leap into the unknown. Each day, at my writing desk and with my son, I reevaluate my priorities, my goals in terms of what I want to share with the world and what kind of role model I hope to be. Each role is all consuming, unbelievably rewarding, and full of unpredictable challenges. I was warned about reading your own reviews, about giving readings with no one in attendance but your relatives, about the emotional ups and downs of watching your book become part of a larger conversation. But no one warned me of the severity of love and protection I would feel for my son. Reading a luke-warm review pales in comparison to the sound of him crying when he’s sick. There is nothing like the joy of receiving an email from a teacher who has decided to teach my book in her class and then, only moments later, watching my son pull a picture book into his lap and create a story to go with the images. There are certainly similarities between creating and publishing a book and having a child, and most are rooted in emotion and the intimacy of sharing something you care about with the world, but unlike publishing a novel -- whose words are stitched in ink, permanent once pressed on the page -- a child is ever evolving and always growing, the state of constant change. And while I’m unbelievably proud of the books I’ve published, I’m even more proud as I watch my toddler grow into a caring, thoughtful artistic child. Like any literary device, the simile has its flaws and risks, but regardless, I’m so grateful I have the chance to participate in the comparison firsthand. Thank you so much for sharing such a wonderful journey with us, Kristen. I love that your son sings Bob Marley songs. "'Cause every little thing gonna be all right." Hailed by Judy Blume as a "remarkable young novelist," Kristen-Paige Madonia, author of Fingerprints of You, explores how to rebuild a life after everything seems lost." Now, time for the giveaway. The lovely Kristen is giving away a copy of her latest novel INVISIBLE FAULT LINES. To enter, all you have to do is fill out the Rafflecopter form below. This giveaway is only open to US participants and ends May 28th. I am quite interested in reading this novel, but I have seen very little hype about it on other book blogs. 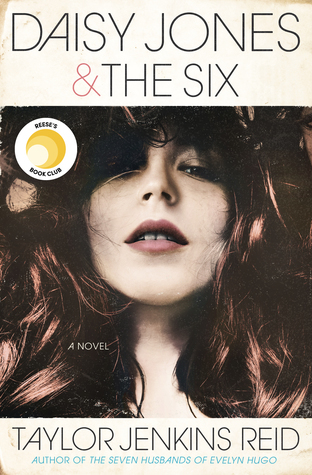 I find it a bit surprising, but I am thrilled to find this feature with a chance to win the book, no less! I love book bloggers! Thanks for this opportunity. What a great post! Happy Mother's Day and many more to come! Im so pumped about this book!